We currently have no puppies available. We are planning a litter for spring/summer 2019. Please contact us for more information. 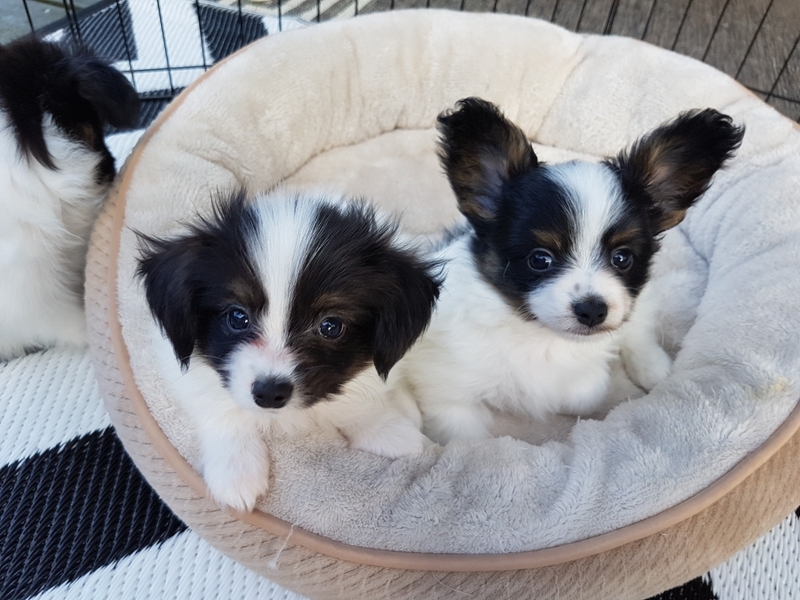 Please feel free to contact us at kywilson09@gmail.com or tkagiles@shaw.ca or call us at 807-577-1468 if you are interested in finding out more about our puppies! Please include details about your lifestyle, interests, and dog experience in your email. 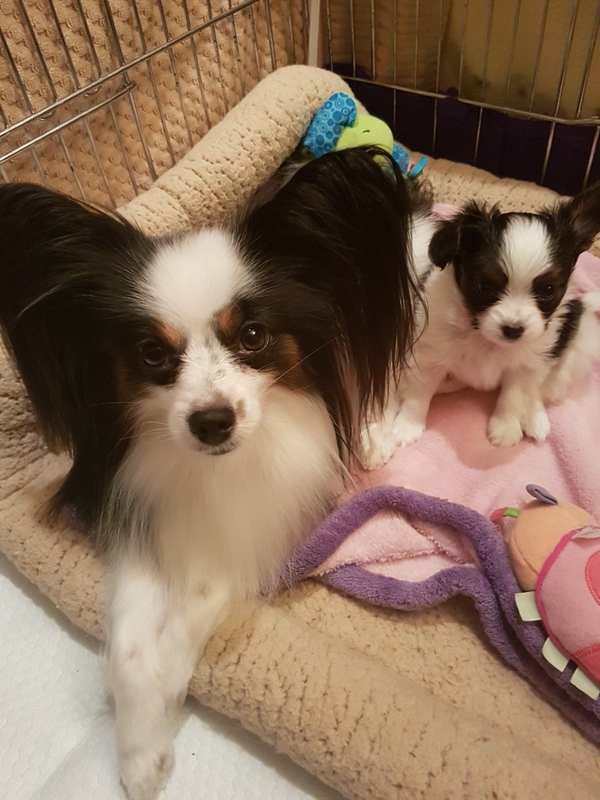 Our Papillon puppies are lovingly raised in our home. 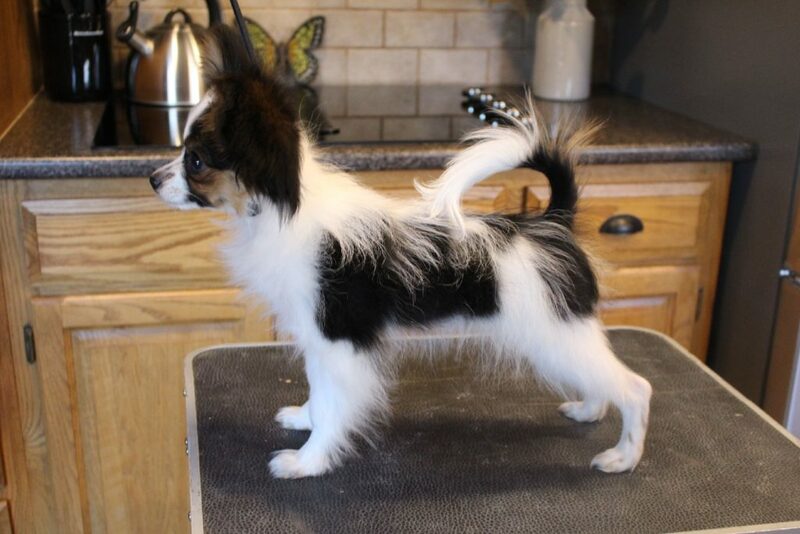 We strive to produce Papillons that are healthy, well adjusted, and reflective of the breed standard. 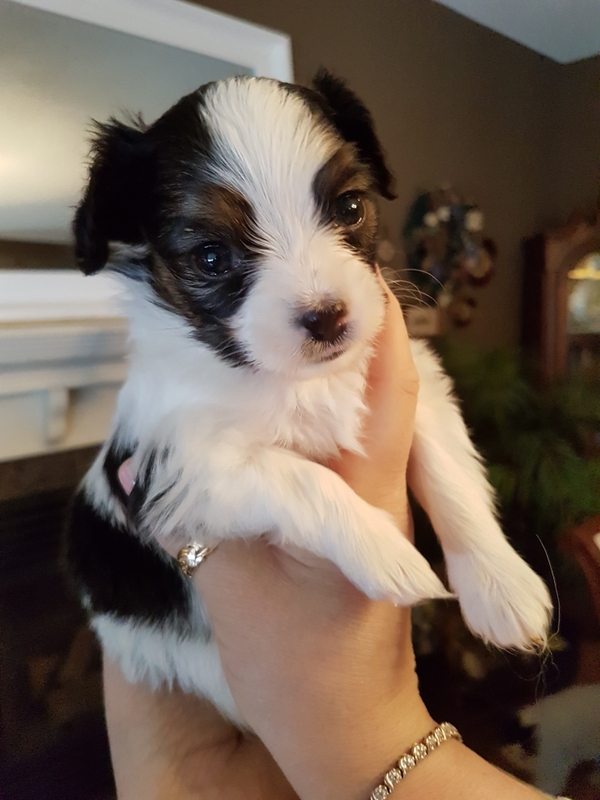 Our puppies are registered with the Canadian Kennel Club and are sold on spay/neuter contracts for pets. They are vaccinated and examined by our veterinarian, micro-chipped, and dewormed. 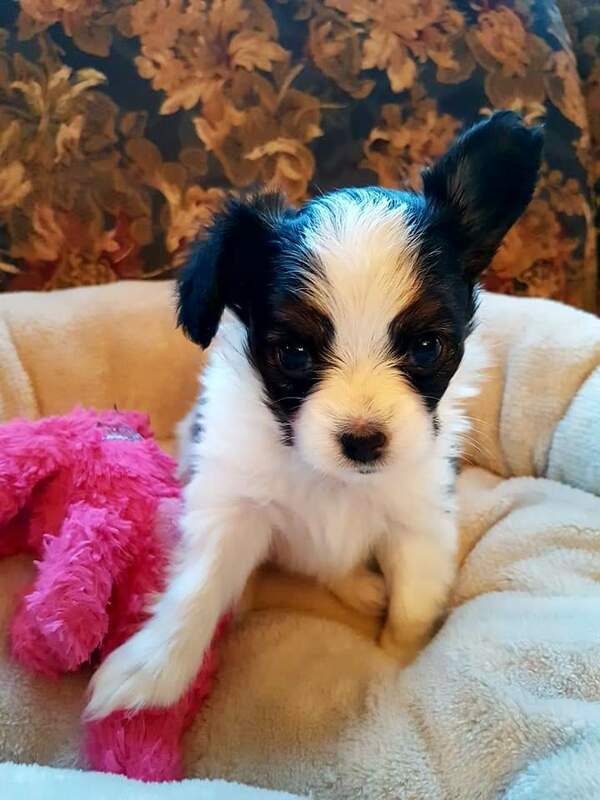 Our puppies come with a health guarantee, puppy pack, and lifetime breeder support. 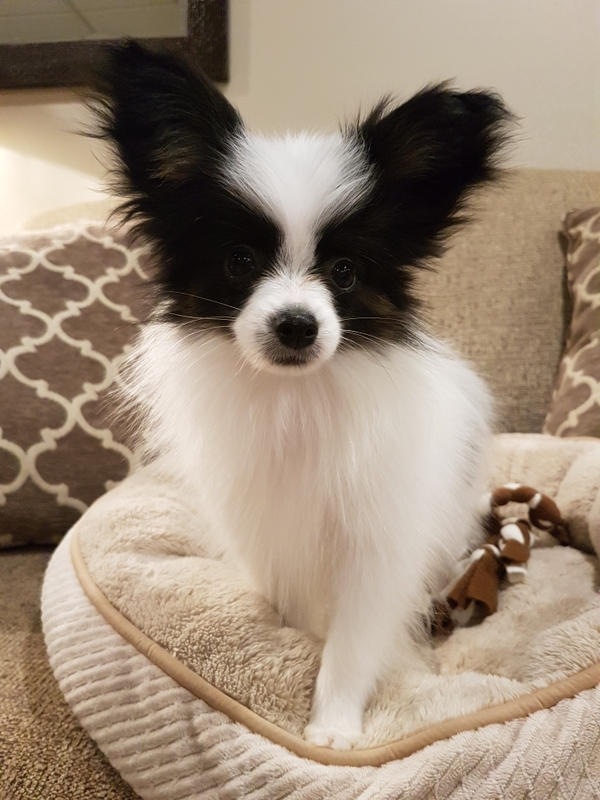 Please do your research before deciding if a Papillon is right for your family. 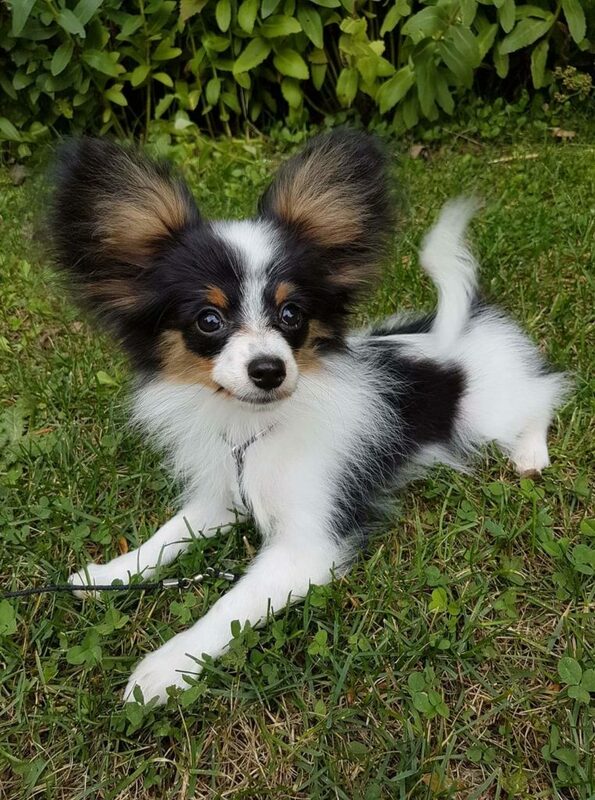 Visit the Papillon Club of Canada’s website to find out more info about the breed as well as find reputable breeders. You can also visit the Canadian Kennel Club website to find out more about dog ownership and learn about responsible breeders. 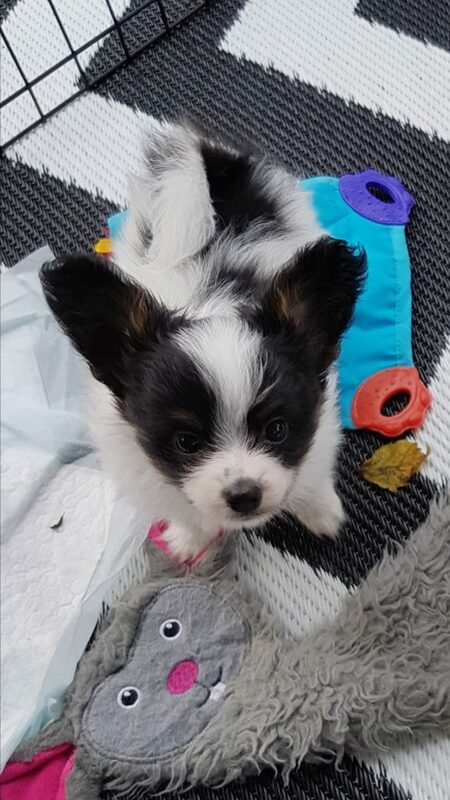 Please be cautious of breeders who sell puppies for higher costs based on size, colour, or markings. This is not something an ethical breeder striving to better the breed will do. Confirm with any breeder you contact that their dogs have been cleared of diseases that can be common in the breed. 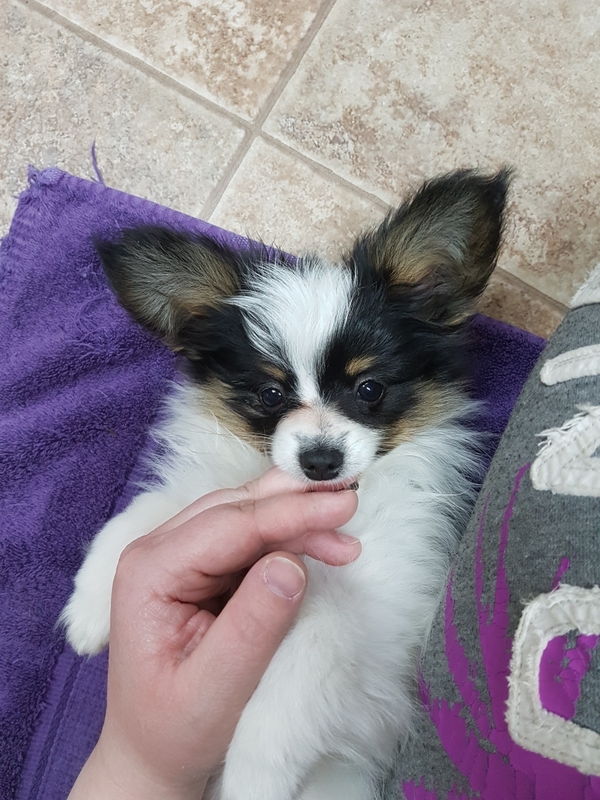 Remember, all puppies are cute – but look at the parents (and pedigrees) to see what your new Papillon will look like when he/she is grown up.